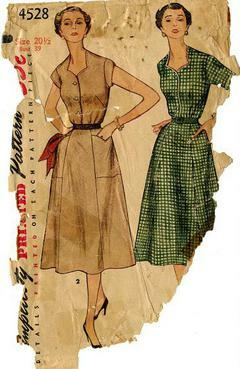 1954 Simplicity #4528 vintage sewing pattern, misses' casual dress in plus size. Envelope is in poor condition and there are NO INSTRUCTIONS, appears to be complete. This pattern is for an advanced sewer who can work without instructions.